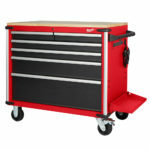 How do you make the Milwaukee 46″ steel storage chest and cabinet better? Make it deeper and give it the ability to hold drawers that are 22 inches deep and give it two built-in power centers with USB ports. Milwaukee is pleased to announce the addition of a 46” High Capacity Steel Storage Combo to their widely popular offering of steel storage solutions. 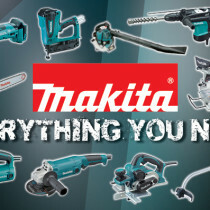 The new unit has been specifically designed to provide more capacity for tools and other equipment, as well as increased durability. 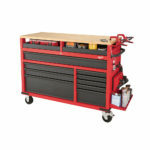 The new 46” High Capacity Steel Storage Chest and Cabinet Combo is engineered with thicker gauge steel and constructed with a reinforced angle iron frame, 6” industrial casters, and edge protectors on all sides for ultimate durability. 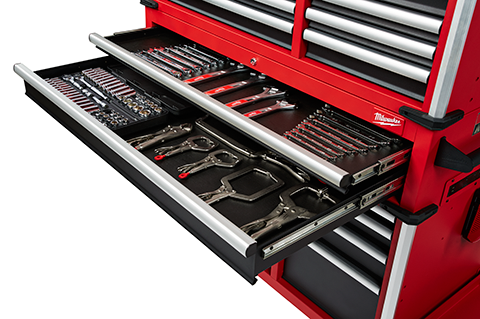 The work station’s 18 drawers include 100lb soft close slides, two bottom drawers with moveable dividers, and a total weight capacity of 2500 lbs. These drawers are also deeper than the company’s other steel storage options, with a peak depth of 22” for additional storage capacity. 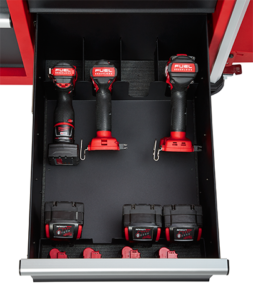 The Storage Combo features a power tool organizer to keep tools upright, a built-in power center for instant access to power, and USB ports. 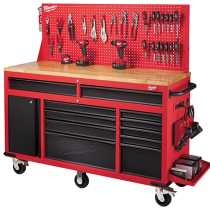 When I first announced the new Milwaukee 46″ High Capacity Steel Storage Chest and Cabinet Combo set, I originally wrote that they would be available in November but I have since learned that Milwaukee is pushing back the launch date to December 2017. 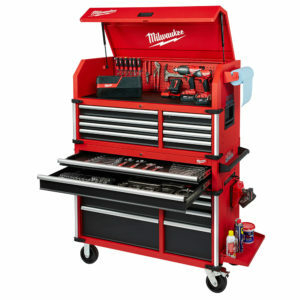 The set will retail for $999 and is model number 48-22-8546 .
it looks like Milwaukee discontinued this tool box already. any word why?